A new study has revealed that, by age 7, children will have spent 2 years and 3 months of their lives in front of a screen. More than half of that time is ‘mindless’ screen time – spent without family or friends, in solitary, screen-based activities. I don’t know about you but that sounds awful to me. 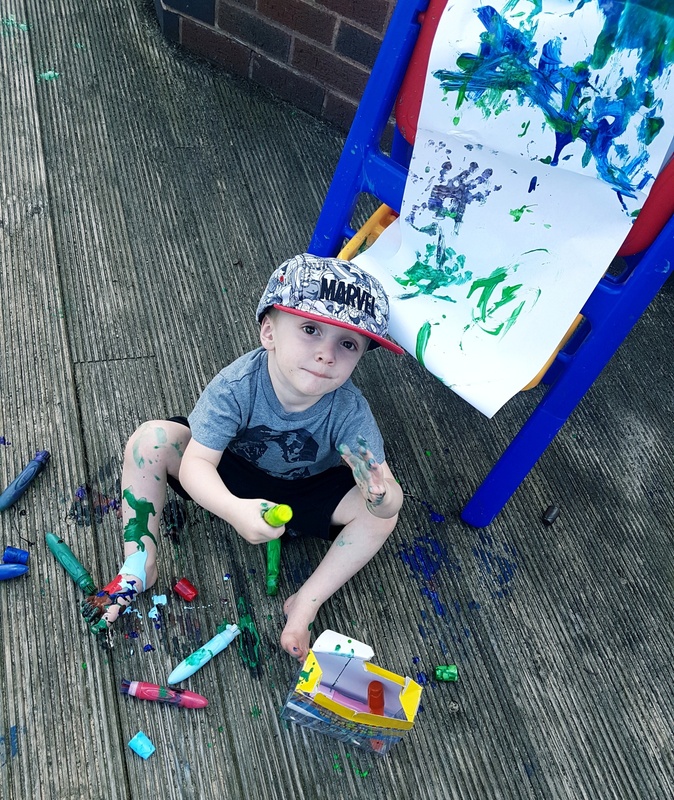 The study, conducted by Persil amongst parents in the UK and Ireland highlighted that time spent in front of a screen dwarfs time spent outside. Parents reported that their children spend more than twice as much time in front of screens than playing outside – equating to 456 days of alone screen time by age of 7 versus 182 days of outdoor free play. As much as our children do watch their screens I’m pleased that ours spend way more time playing outside than they do watching their screens. Screens, when used in the right way, can be very beneficial – aiding learning and development amongst children, but there needs to be a balance between screen time and outdoor play. This is a balance so many parents are looking to achieve. When asked about screens being convenient, 79 per cent admitted finding them helpful, and that they have used them to entertain their children whilst they get on with other tasks (77 per cent). However, parents recognise that this behaviour could potentially negatively affect their child’s creative thinking and ability to problem solve (61 per cent), his or her psychological development (66 per cent), social skills and how they interact with other children (77 per cent). 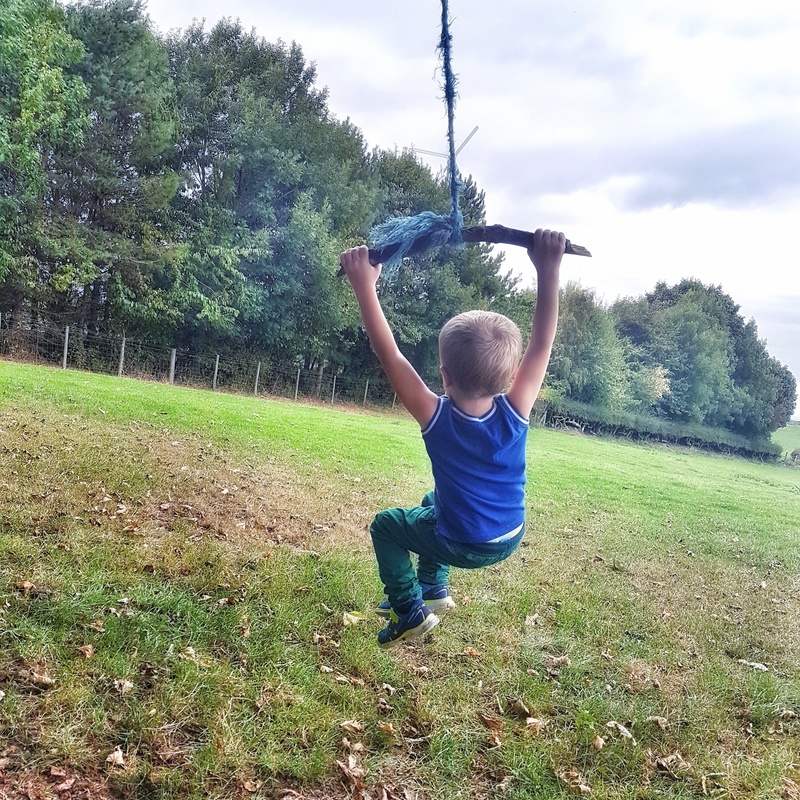 British parents reported wanting to address this issue and are seeking help to do so – as almost two thirds (62 per cent) expressed that they wish their child would spend more time playing outside as opposed to in front of a screen. The study also shows that there is a tipping point, at the age of 4, where screen time becomes more of a focus in a child’s life – it is at this age where electronic devices are favoured over other leisure activities, including outdoor play. When a child is 7, they will have spent 2.5x more time alone in front of a screen than enjoying outdoor play. Almost half of parents (43 per cent) have discovered their children using two screens at once! Outdoor Classroom Day – Taking place on 1st November 2018, this initiative challenges schools to get children to take at least one lesson outdoors that day and celebrates the importance of playtime. In 2017 alone, 2.3 million children took part around the world in over 100 countries, including over 580,000 in the UK where the campaign is led by Learning through Landscapes. parkrun – it is easier than ever to get the whole family enjoying the great outdoors with parkrun. As an official sponsor, Persil is helping to ensure there are hundreds of free events that take place every weekend across the UK. Real Play Coalition – Persil, alongside IKEA, National Geographic and The LEGO Foundation created the Real Play Coalition – a movement that prioritises the importance of ‘real play’. Sir Ken Robinson, the leading expert in human development suggests that parents should set agreed limits on screen time, and times when screens are put away altogether in favour of other activities, including mealtimes and play and recreation of other sorts depending on the age of the child. 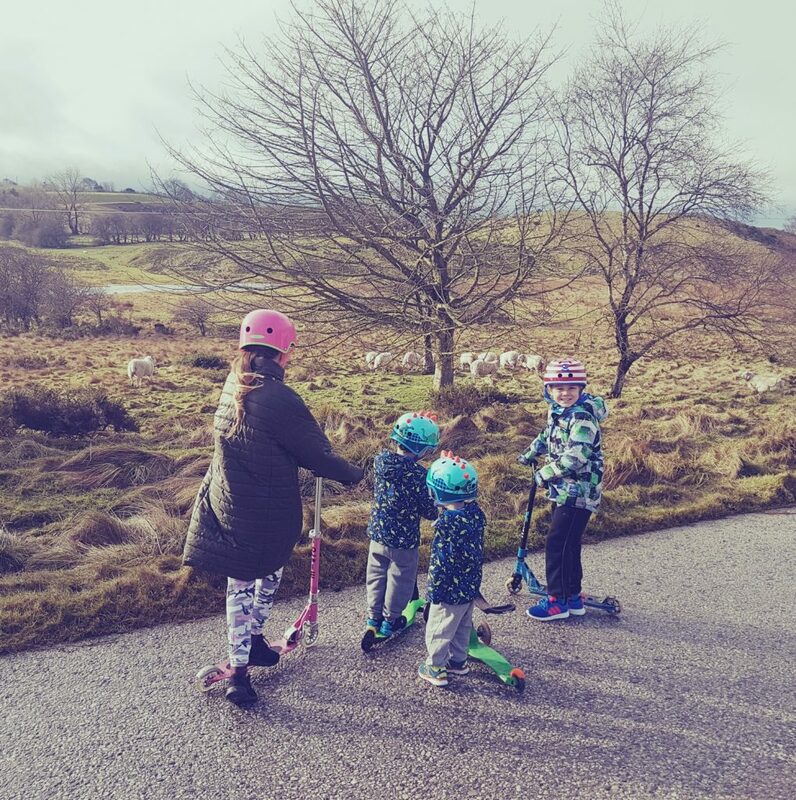 Here are five simple tips on how to balance your kids screen time and outdoor play this half term week, based on Sir Ken Robinson’s recommendations. Find an engaging way to limit screen time. Create a brightly coloured rewards chart to allocate time slots on how much time is allowed behind a screen and to help plan outdoor activity for your kids on a daily basis. This is a fun and creative way to reward your kids with well-done stickers when they stick to the plan every day! By using reward charts and coloured stickers your kids will see the change as a positive one! Encourage fun and creative activities with your kids. Don’t be afraid to get messy – indoors or out. Find an activity your child really loves and enjoy the fun together! It could be as simple as making music out of garden twigs, or starting an arts and crafts session using conkers, pine cones and leaves you found in the park, or playing team games such as rounders’ or a treasure hunt. It is also a great way to bond together and encourage creativity. Inspiring your kids to be creative can stimulate their imagination and also reduce stress and anxiety. Embrace the British weather, even in the winter. We all know splashing in puddles, climbing up tree houses, swinging on swings and getting really muddy is a child’s dream of having fun! 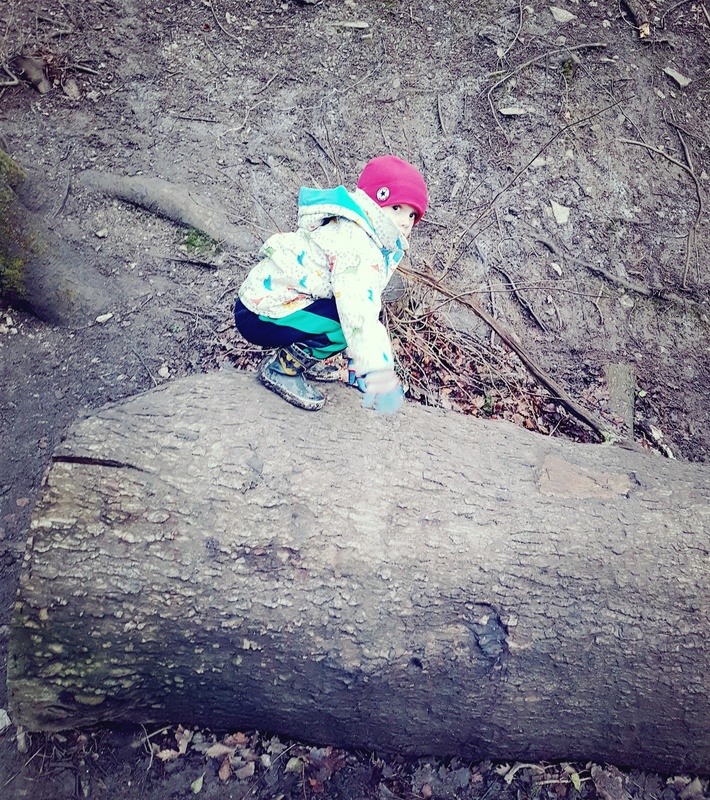 On a rainy day grab your wellies, a waterproof coat and go on an adventure with your kids at your nearest park. Try incorporating ‘real play’ into your child’s daily routine. Real play is unsupervised and self-initiated. Some ideas to get you started are playing with sand, painting, chasing games, role play, juggling, and hiding games. Giving your kids opportunities for active, physical, imaginative, and social play can have such positive benefits in kid’s social, emotional, cognitive, and physical development. You don’t have to spend loads of cash. Real play doesn’t have to be expensive. 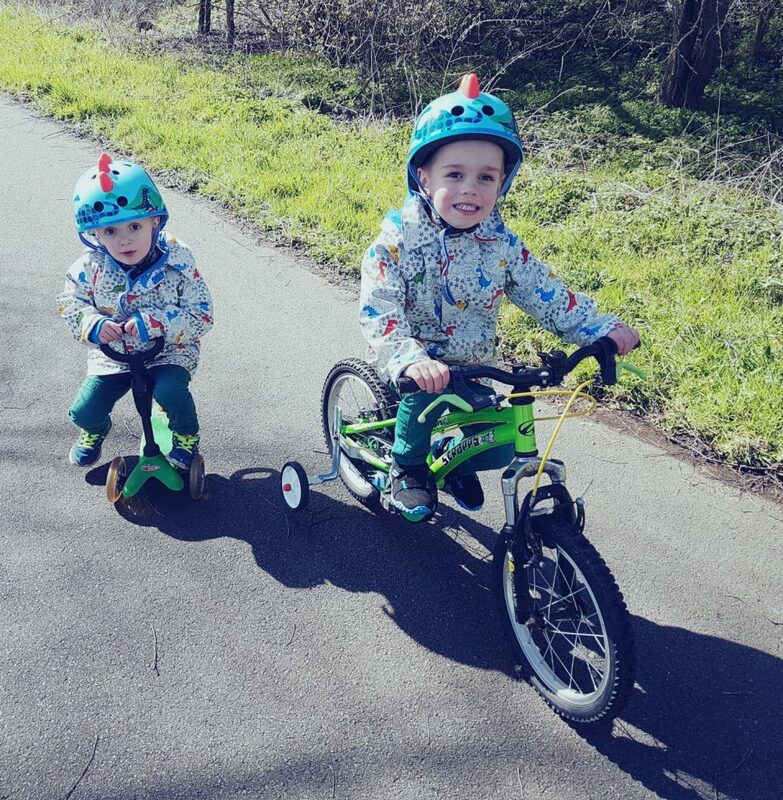 Sometimes it’s nice to just be with your kids so, join in with any outdoor activities, go for a stroll together and have a conversation about their interests or be imaginative and have an exciting bake off competition together. The main resources are time, energy, companionship and laughter. How do you limit screen time and encourage your children to spend time outdoors? Do you worry about the amount of time they spend behind a screen or are you fairly happy with the balance like we are?